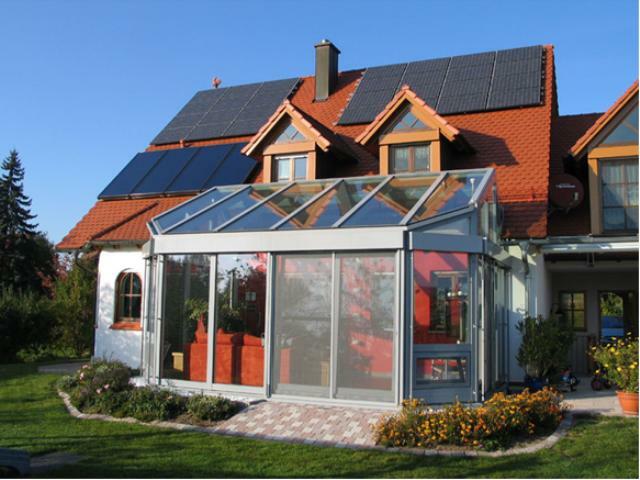 Summary The PV system of Family Kungler is a nice example of a typical private single house. The 33 square meters of PV modules are mounted in the same angel as the roof, which is 45°. Additional a thermal solar system with 11 m² is supporting the boiler.